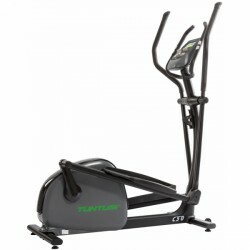 Tunturi elliptical cross trainer Endurance C85, the top model of the new top model of the new Tunturi elliptical cross trainer Line. Offering a resistance of 600 Watt, the C85 is the elliptical cross trainer with the strongest resistnace of the Tunturi range. Besides the resistance, the Full Color TFT-LCD display is the absolute highlight. Experience the training of a new kind with this valuable display. Run routes all over the world and train actively with other people worldwide. 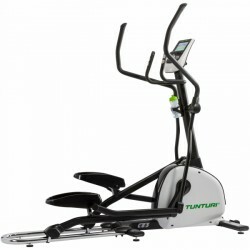 The Performance Series of Tunturi is designed for regular users, who want to do an intensive, long-term training with the elliptical cross trainer. Via a Bluetooth interface, you can connect the elliptical cross trainer with your tablet or smartphone. Run interactive routes via GoogleMaps or Kinomaps with this connection and increase the attractiveness of your workout. As standard, 20 programmes are installed on the equipment and can be directly selected by the user. The Tunturi elliptical cross trainer Performance C50 is a good elliptical cross trainer for beginners, for a regular training at home. 20 programmes support your training and offer the user a wide range of pre-installed training contents. The resistance of 350 Watt is generated and controlled via a magnetic brake system. 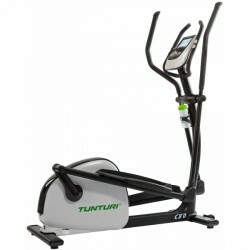 The Tunturi elliptical cross trainer Endurance C80 and its induction brake offer the user a resistance of up to 600 Watt. It is silently generated via an induction magnetic field. The Full-Color TFT-LCD display informs about all necessary training data and you can improve and analyse these by using an App. Via a Bluetooth interface, you can connect smarpthone and tablet with the machine. Elliptical cross trainers are among the most popular fitness machines for cardio training and fat burning. 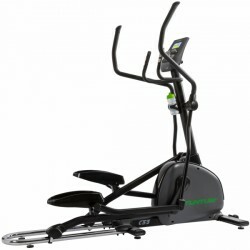 Buying an elliptical cross trainer, you get a fitness machine, of which the course of motion is very similar to running. Hence, a very big part of the muscles is involved in the training. Furthermore, you train the upper body when you exercise with an elliptical cross trainer, because the pendulum arms can also be moved. The cardio training with an elliptical cross trainer is very joint-gentle and is very good for heavy persons. Due to the adjustable resistance, the load can be individually adapted to the user and the daily fitness. Either buying an elliptical cross trainer for losing weight or for strengthening your cardio, you can adapt the fitness machine precisely to your training targets by means of the resistance control. Tunturi offers the innovative product series Pure Cross, where you find the appropriate product for leisure sportsmen as well as top athletes. Due to the well-thought out technology and the innovative 10.2 inches touch screen display, you can watch films, browse in the Internet or listen to music while exercising with the Tunturi elliptical cross trainer Pure Cross F10.1. The Webathletics App is the best way for you to lose weight quickly and easily. Using the virtual, personal coach, you improve your fitness or compete with other users of the platform. Both models, the Tunturi elliptical cross trainer Pure Corss F 6.1 and the elliptical cross trainer Pure Cross 4.1 stand out by their balance mass and the training programmes. Both machines have a low pedal space and an excellent concentric run, which makes a lot of fun throughout the training. 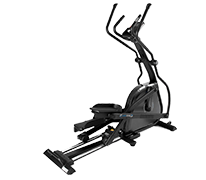 In addition, the Tunturi elliptical cross trainer Pure Cross F 6.1 and the Tunturi elliptical cross trainer Pure Cross F 4.1 are equipped with the patented T-Ride™ and T-Road™ functions. These give you an additional motivation for your training and make you even more powerful.